Open Letter, Marcel Broodthaers, 11 October 1968. 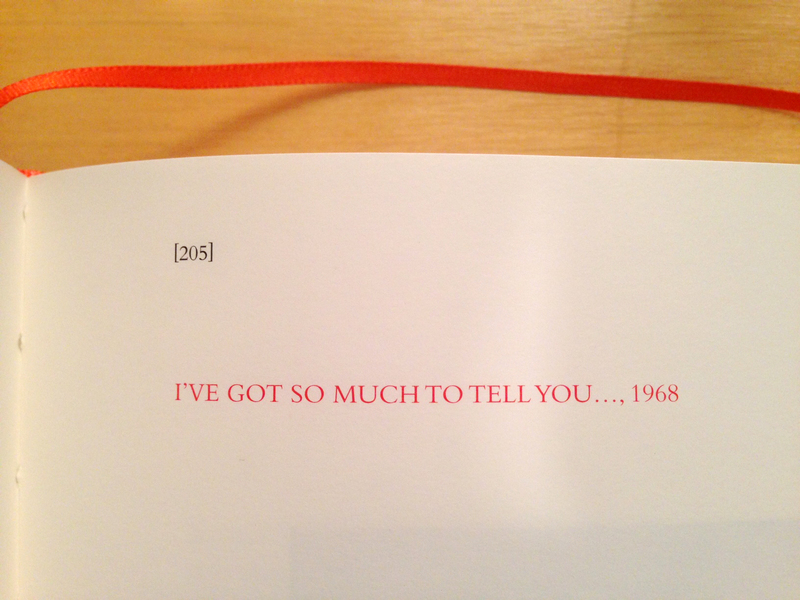 (Detail of translation published in Marcel Broodthaers Collected Writings). 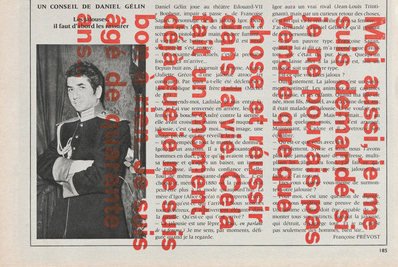 Moi aussi, je me suis demandé…, Marcel Broodthaers, 1964. Collection, The Museum of Modern Art, New York. “already attempting to accommodate” – this is interesting for many reasons. It identifies Apollinaire’s lack of mastery over his own work in relation to social shifts in the use of language, but marks his practice as a site that both passively registers those social shifts and responds to them, even if only through attempts. “accommodation” connotes giving space to, fitting something in, giving way, but also giving consideration to something. 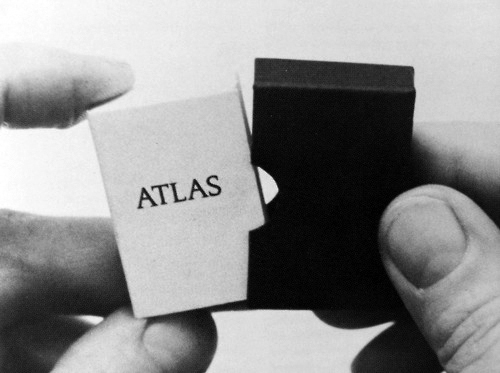 The Conquest of Space, Atlas for the Use of Artists and the Military, Marcel Broodthaers, 1975. 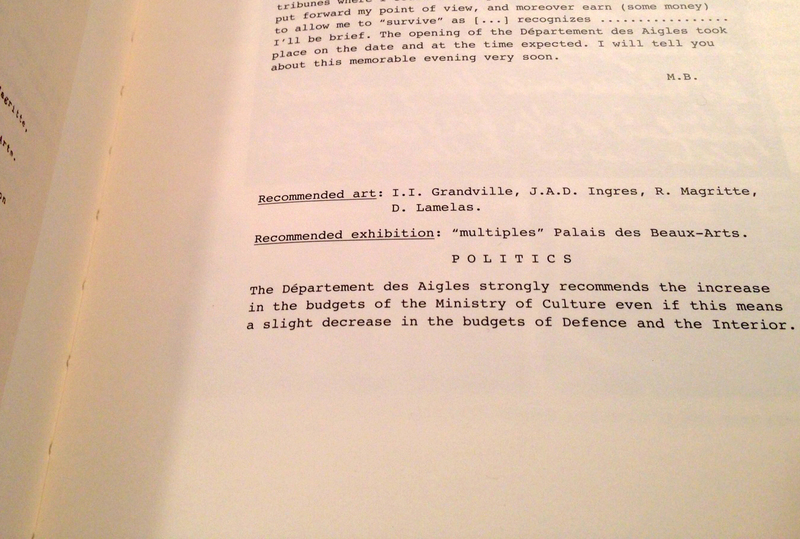 The open letters of Broodthaers give good consideration. They accommodate various existing modalities of language and convention and institutional paratexts. But their humor and historical discernment produce the distance of a consideration. In regards to the recently-announced MoMA expansion, perhaps Broodthaers is still having one of the last words.